This post was originally published by Clean Energy Economy Minnesota. Clean Energy Economy Minnesota (CEEM) and Advanced Energy Economy (AEE) are hosting business roundtables this summer with Minnesota’s candidates for governor. On July 18, we had the pleasure of hosting U.S. Congressman Tim Walz (DFL). 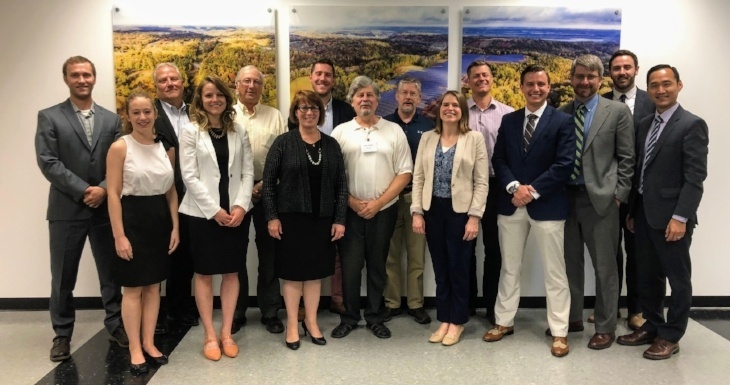 On July 18, Clean Energy Economy Minnesota (CEEM) and Advanced Energy Economy (AEE) hosted a business roundtable with candidate for Governor Erin Murphy. Endorsed by the Minnesota DFL (Democratic-Farmer-Labor Party), Rep. Murphy currently serves District 64A in the Minnesota House of Representatives, and has held the seat since 2006.